Tuscany and Florence by E-Bike: Tours that can be booked on the Internet. The city centre of Florence with its great sights such as the cathedral and the world famous art museums can be explored on foot. But almost all visitors of the city also want to see the fantastic landscapes of the surroundings. 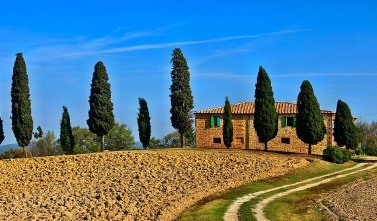 After all, Tuscany is considered one of the most beautiful regions of Italy. Bicycle tours have been popular among tourists in Tuscany for decades. Since Tuscany and the surrounding area of Florence are relatively mountainous, traditional cycling is quite arduous. With the E-Bike you can master the ascents without problems and enjoy the beautiful landscape quiet. Most vacationers go on an organized tour by e-bike. It is best to book such a bike trip at home in peace and quiet on the Internet before travelling to Italy. Such trips are also possible for people who can ride a bicycle but have no experience with an e-bike. Many good offers on the Internet can be found on the website Getyourguide. In the following some examples. The excursion with the electric bicycle starts in the center of Florence. We offer tours of 2 hours and 4 hours. You drive to the famous Michelangelo Square with a magnificent view of the city from above, through the small rural town of Fiesole and much more. This e-bike ride also takes you to the countryside including farms, a monastery and so on. If the weather doesn’t help, you get your money back or you can choose another day. 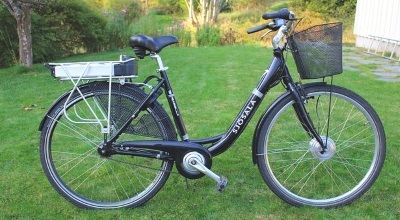 The e-bike including helmet is provided. A free child seat is also available on request. This excursion can be booked on the Internet. This tour has very good reviews. Especially the organisation and the nice and dedicated tour guide are praised by many participants. There are many small things for free like a wine (Chianti) to taste. Moreover, these e-bike tours are not expensive. Many participants are also enthusiastic about an electric bicycle tour, which goes through the famous Chianti region. They meet in Florence in the morning and take a shuttle bus to the start of the e-bike tour in the middle of Tuscany. 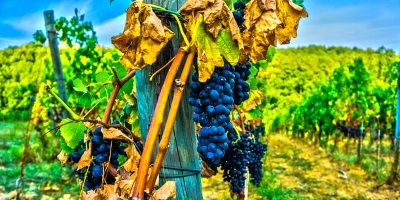 The journey goes through vineyards, olive groves and much more. Lunch (several courses), wine tasting and much more are included. Also on this tour the organizer and the travel companion receive very good reviews. This is our most important selection criterion and one of the main reasons why we recommend this tour. Please let the tour operator know in advance if you want an e-bike (not a normal bike). Booking online. A night tour by electric bicycle through Florence is also very popular. The city is considered to be particularly worth seeing in the dark, as it is beautifully illuminated. This tour also leads to the viewpoint Piazzale Michelangelo. But also the great sights of Florence are explored from close by. In the end, the travel guide will give you an ice cream in one of the best and most famous ice cream parlours of Florence. The meeting point is, as with all tours recommended on this page, in the old town of Florence. Booking on the internet is possible. To our knowledge, taking an e-bike with you on an airplane is not easy. The reason for this is that the battery is considered a hazardous good and cannot simply be taken along in passenger aircraft. You have to send the battery in advance with a freight plane (or of course the whole bike). Another possibility is to travel to Florence or Tuscany by train or car.